With Borough Market getting more and more popular, some vendors have opened up shop underneath the railway arches at nearby Maltby Street. More of an informal community of some of London's best purveyors of food and drink than a bona fide market as such, what is becoming known as the Maltby Street Market came about after Monmouth Coffee decided to open the doors to their roastery for a few hours on Saturdays. Neal's Yard Dairy soon started selling some of their delicious cheeses from a stall outside, followed swiftly by the Kappacasein cheese shop (famed for its strong-smelling Raclette and historic toasted cheese sarnies) and the Ham & Cheese company. The low-key Borough Market spin-off now includes St John Bakery, Claire Ptak cupcakes, Kernel Brewery (delicious artisanal beers), Fern Verrow (organic veg and lamb), Topolski (Polish cured meats and pickles), Booth's fruit and veg ? and a handful of other high-end producers. In fact, the Maltby Street Market (which spreads onto nearby Druid Street and Milestream Road) has become such an underground hit that the Borough Market Trustees have evicted seven traders from the popular tourist site for duel trading. If you fancy a far less hectic market experience, then give Maltby Street a try. Double up with a visit to the nearby Bermondsey Square Farmers' Market too. For more information please visit www.maltbystreet.com. 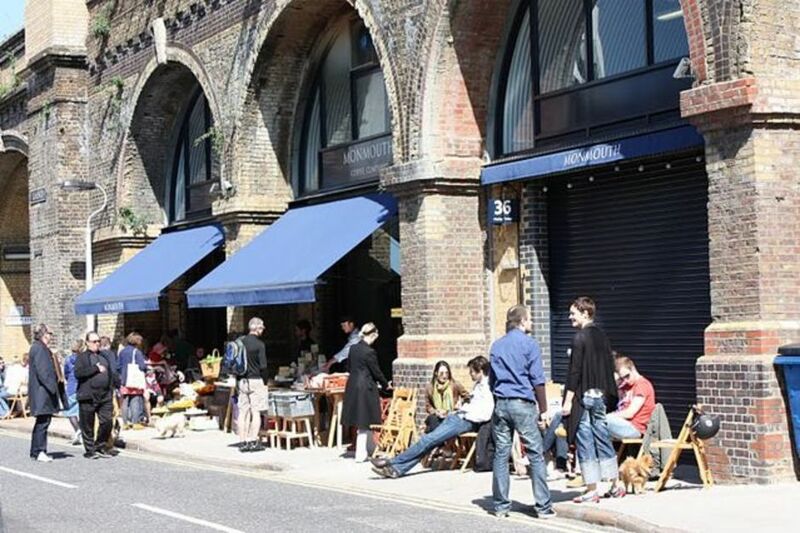 What are the best dining options near Maltby Street Market London? Maltby Street Market gyms, sporting activities, health & beauty and fitness. The best pubs near London Maltby Street Market. Maltby Street Market clubs, bars, cabaret nights, casinos and interesting nightlife. Where to have your meeting, conference, exhibition, private dining or training course near Maltby Street Market. From cheap budget hotels to luxury 5 star suites see our deals for Maltby Street Market hotels, including Cheval Three Quays Apartments from 83% off.